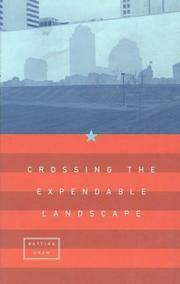 Social criticism meets travelogue in an uncomplimentary tour of the American metropolis. Essayist Drew (Nelson Algren: A Walk on the Wild Side, 1989) is no fan of capitalism, at least the kind of capitalism that has produced the endless conurbations of Dallas, New York, and Los Angeles. The turn of the last century, she writes, may have been the age of the robber barons, but those guilty millionaires bestowed great public libraries, parks, and promenades on the people, —architectures that suggested the public had something to do with their leisure time besides spend money.— By contrast, she writes, today’s public architecture bespeaks nothing but marketing, with no eye toward the spiritual or even the social. Traveling from Stamford, Conn., with its gutted urban core, she looks at other centerless cities, built and renewed and rebuilt not to follow ideals of places where people might come together, but to capture real-estate booms and housing trends. Casting a jaundiced eye on the trends of our own day, on mega-malls and gated communities, on retirement complexes and enclaves for the rich where the street signs are etched in gold, Drew finds little to cheer about in the modern national landscape. Her criticism is sharp-edged, to the point, and nearly inarguable. Drew, like past urban-design critics such as Lewis Mumford and Jane Jacobs, offers a program for making just those livable places, although that program is too briefly presented in her pages; the architects of the so-called New Urbanist approach she champions accept —the physical constraints of mountain and river— and —encourage authentic regional building differences and energy-efficient, nonpolluting construction,— as the builders of most American towns evidently do not. A solid, well-argued, and sometimes radical plea for a better-built environment.